As the Republican vice-presidential nominee Rep. Paul Ryan gets ready to begin debate preparation on Sunday in Oregon, the Wisconsin lawmaker raised a few eyebrows when he told KRDO-TV in Colorado Springs that states should have the right to choose whether to legalize the drug for medical purposes. Ryan emphasized that while he doesn’t personally approve of laws that make medicinal marijuana legal, “it’s up to Coloradans to decide.” Colorado is one of 17 states, plus Washington, D.C., that allow medicinal marijuana, notes the Associated Press. In other Ryan-related news, Romney’s running mate will begin preparing for next month’s debate with Vice President Biden Sunday, reports the Washington Post. 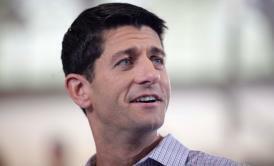 He will be taking a day off campaigning to begin the preparations, as Republicans begin the obvious effort to lower expectations of Ryan’s match-up against Biden.